The new Leema Pulse version for 2017 is the Pulse IV. 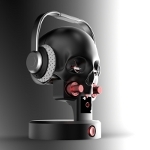 The new device includes analog and digital inputs, a phono input, Bluetooth streaming capability and a USB port. It delivers 80Wrms per channel. 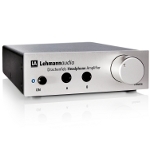 Lehmann Audio's Drachenfels is the company's proposal for those looking for an affordable headphone amplifier. It is upgradeable (with digital streaming capability) and uses an Alps Blue Velvet potentiometer for level adjustment. 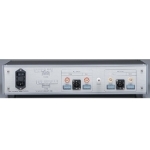 The Lumin U1 is a network player with up/downsampling capabilities for all sample rates from 44.1kHz to DSD256 and DXD, five digital outputs (and a USB port). The device is Roon ready and supports Tidal and Qobuz services. 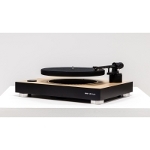 The Mag-Lev turntable is one of Kickstarter's most discussed audio projects. The system uses magnetic levitation, it is quite impressive in appearance and seems to work well. It remains to see its real performance, in practice. MBL presented their new preamplifier (the N11) and power amplifier (the N15), both announced at the beginning of the year. 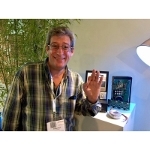 McGee from Germany demonstrated the Legend integrated amplifier. 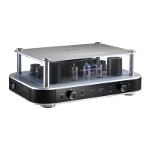 It is a hybrid design with a tube preamplifier and a solid state power stage, which also supports wireless streaming via WiFi/Bluetooth. McIntosh unveiled their new integrated amplifier, the MA8900. The new amp Includes analog and digital inputs (up to DXD/DSD256) and features the well known Autoformer output which uses transformers. It delivers 200W per channel. Merging (a name more familiar to audio professionals) makes interesting moves towards de-facto adoption of the Ravenna standard in high-definition audio networks. Apart from their NADAC, this year they showed both software and hardware for OEMs. 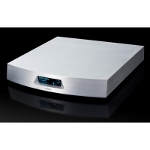 Meridian displayed the 857 power amplifier announced at the end of last year. 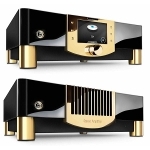 It is their most powerful two-channel amp, delivering 500W/4Ω and can be bridged to deliver 1.5kW. The circuit, using limited negative feedback, reaches up to 100 kHz. Not unexpectedly, Metaxas' Marquis Memento Mori was a show-stopper. And rightly so! 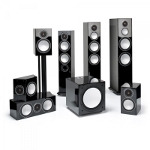 Monitor Audio presented the 2017 Silver series. 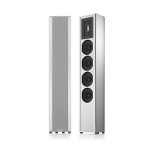 It includes three floordstanding and two standmount loudspeakers as well as a center, a sub and surround models for use in a multi-channel system. 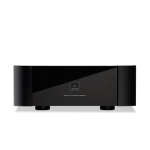 The new and much talked about DAC from MSB. The Reference is a more affordable solution than the Select, maintains the usual MSB's modular construction and offers some serious customization/upgrading capabilities. Philippe Watel of MusiChi demonstrated the Client/Server version of the multi-faceted music library management application (perhaps the most complete one at this time) in a platform optimized for playback. 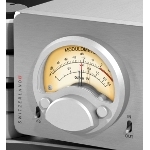 (Audiophile Optimizer/Fidelizer Pro, Ideon 3R USB). Following the success of the Brooklyn DAC/Headphone amplifier, Mytek also presented a power amplifier with the same name. Brooklyn AMP features a class D power stage and delivers 300W/8Ω per channel. It is expected during the summer. 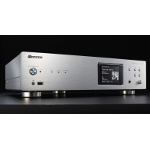 Nagra completed their HD (HD DAC and HD AMP) series with a preamplifier. 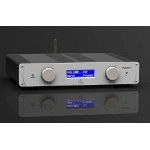 The HD PREAMP features a tube-based circuit and an external, supercapacitor based power supply which simulates a battery. Obviously, the iconic modulometer remains! Naim Audio has unveiled the new Uniti series, which includes four devices so far and has aesthetics based on Mu-So's design experience. 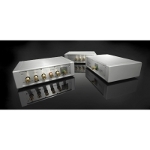 Nordost showed the Qkore system, a separate ground block both for the power supplies and the amplifier circuits of all the devices used in a system. 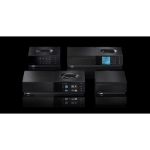 The series includes Qkore1 (power grounding), Qkore2 (audio circuit grounding) and Qkore6 (a combination of both). 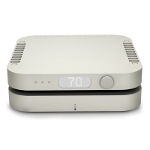 NuPrime is NuForce's brand name for high-performance audio devices, and the IDA-16 is their top-of-the-range integrated amplifier. 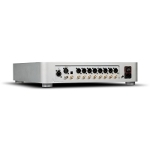 The amp features one analog and five digital inputs (up to DXD/DSD256) and delivers 2x200W/4Ω. 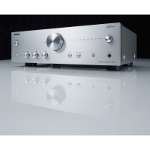 Onkyo introduced the A-9150 integrated amplifier, a more affordable version of the A-9010. 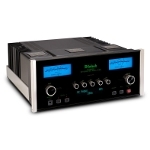 The new amp includes a phono input and a built-in DAC, based on the AK4452 chip. The power stage has a quite high slew rate of 500V/μS. 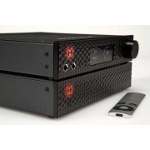 Orpheus Lab from Switzerland has demonstrated the Absolute Mediaserver, an Intel i3 processor-based device with a 7-inch display, capable of wired and wireless audio and video streaming which also has an optical drive for ripping. Pass Labs demonstrated, among other things, the new XP-17 phono preamplifier. Judging from the back panel, it offers considerable flexibility, with a wide range of the settings. Perpetuum Ebner demonstrated their new affordable model. 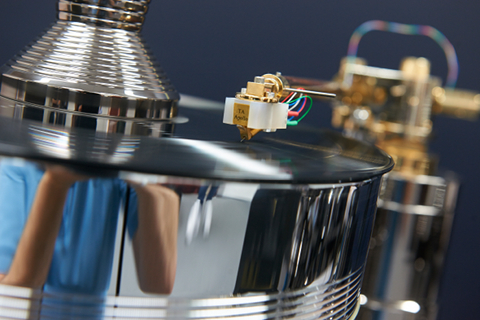 The PE1000 is a belt drive design, featuring a synchronous motor and the PE's gimbal-based TO2016 tonearm with magnetic anti-skating. 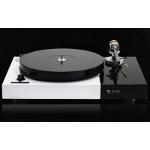 It is available with a pre-installed Ortofon 2M Red cartridge. Piega has demonstrated a new line of loudspeakers (the Coax), based on their well-known in-house manufactured mid/high-frequency driver. The photo shows the mid-sized Coax 511 model. Pioneer displayed two media players, the N50AE and the N70AE, in the same series as the N30AE. 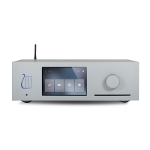 The two devices differ in their DAC section, with the N70AE featuring a 32-bit Sabre ESS chip, allowing for DXD playback, the chassis (N70's is heavier) and the inclusion of a headphone amplifier (also included in the N70AE).